Newport County have completed the signing of striker Miles Storey on a month's loan from Swindon Town. The 21-year-old spent the first half of the season at County's League Two rivals Portsmouth, where he scored three goals in 22 appearances. Northampton Town were set to sign the player on loan earlier in the month but later pulled out of a deal. 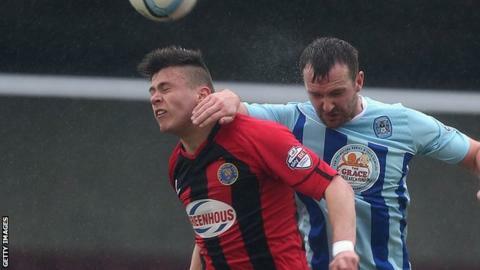 Storey could make his debut in Saturday's league game against Shrewsbury at Rodney Parade. Stevenage and St Mirren were also thought to have enquired about taking the former England Under-19 international on a temporary basis.